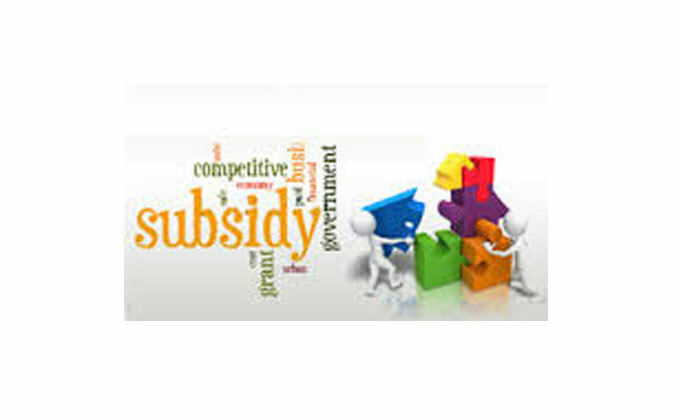 In a way subsidies can also be called as an antithesis of taxes. While the taxes fills the government coffers and increases the price of the commodity or service on which tax is imposed, the subsidised commodity drains the government’s income by sharing cost of the subsidised commodity. Several essential commodities like kerosene, LPG, food grains, fertilizers, electricity etc. have been subsidised in India to make them affordable for the poor people. It cannot be denied that subsidies are necessary to make many essential goods affordable to the vast vulnerable population of India. But this is also true that subsidies in India are more frequently used for the short term political gains rather than the long-term economic and social gains. The economy of freebees is the significant fallout of a democracy where the political parties in order to get support from various sections of the society keep offering them subsidised products and services. For example, after the most recent elections in the capital New Delhi, the AamAdmi Party (AAP) offered reduced electricity, free wi fi etc. In the past, government in Punjab has made electricity free for the agriculture sector. This type of populist measure has not only made the subsidies bill unsustainable but also lead to the wastage of resources. For instance, the free electricity has not just resulted in a blow to the state electricity board, but has caused excessive depletion of ground water because there was no incentive for switching off the power pumps as no cost was involved for the user. Such myopic announcements of subsidies for the short term political gains have been the major component of non-plan expenditure and once a subsidy came into effect, it is very hard for a government to reverse it for the fear of inviting the ire of public in next election. Rise in subsidy bill defeats the efforts to arrest the widening deficit. The rise in fiscal deficit strengthens the inflationary forces thus nullifying the effects of subsidy in the long run by increasing the price of a subsidised product. Inflation will further make it necessary for the government to keep the subsidy bill rising in order to make the essential products affordable to the poor. Another flaw with the subsidies in India is that they are not rationalised and well structured. The owner of Mercedes Benz and a Hero motorcycle, both get the same amount of fuel subsidy. In fact, the owner of a car would be getting bigger share of fuel subsidy than a motorcycle owner because the consumption of fuel average is many time higher in a car than in the bike. Secondly, the leakage of subsidised products due to the corruption and the lack of political will to plug such leakages defeats the very objective of subsidy. In the financial year 2014-15, the subsidy bill of food petroleum and fertilizers was estimated to be around USD40 billion. In the Budget 2015-16, the subsidy bill is likely to be curtailed by reduced by 20% and would be around USD 32 billion. However, this fall would not be because of any structural reforms but because of the fall in global crude prices. The falling crude prices have offered a great opportunity to the government to rationalise the subsidy structure as now government can introduce the reforms without affecting the final consumer as increase in final price of fuel would be compensated by the falling crude prices. A highly subsidised economy can never become a strong economy. There is no country in the world which subsidises the essential products or services to make them affordable for the poor. But in India, often the subsidies are not well targeted and are siphoned off before they reach the ultimate beneficiaries. Subsidy is an economic concept, not a political one. Therefore subsidies should be used keeping the economics in mind and not politics. Otherwise, the political uses of subsidy will economy suffer.